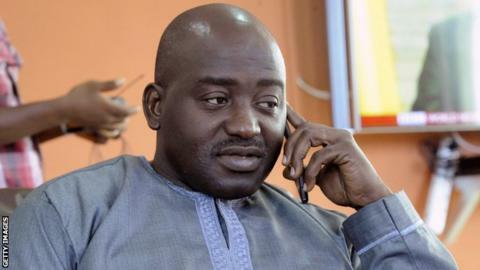 Fifa must provide evidence to the Court of Arbitration for Sport (Cas) by 18 December as to why it excluded Musa Bility from its presidential elections. Cas confirmed on Wednesday the Liberian FA chairman has appealed against Fifa's ruling he failed integrity checks. "I believe the Court will be fair and fairness in this case will allow me to reset my journey to lead a brand new Fifa," Bility told BBC Sport. Bility has requested an open hearing with sport's highest legal body. The 48-year-old believes this is in the interests of transparency, with Fifa needing to inform Cas of its decision about this on Thursday. While being re-admitted to the Fifa presidential race is his main aim, Bility is also hoping to clear the damage he says has been done to his reputation by last month's decision. The Liberian is seeking appropriate compensation as well as all legal costs incurred in having to file an appeal with Cas. Bility said he had been informed by Fifa that his candidacy was "principally rejected" because of a six-month ban from all football activities handed out in 2013. The ban was imposed by the Confederation of African Football for using confidential documents from the governing body in a legal challenge against its president, Issa Hayatou. Hayatou is currently acting Fifa president after Sepp Blatter, vice-president Michel Platini and general secretary Jerome Valcke were all suspended over corruption allegations.